German director Werner Herzog's favorite lead actor, Klaus Kinski, often played obsessive and maniacal characters, including the vampyre, Nosferatu. Herzog and Kinski are two eccentric geniuses who together wove a fascinating ouvre. At one point, when they were filming Aguirre, the Wrath of God, deep in the South American jungle, an incensed Kinski came to Herzog and said, "I demand that you fire the assistant cameraman immediately! I don't like the way he looked at me!" Herzog first tried reason: "Look where we are, Klaus! We're deep in the jungle! So how could I ever get another camera person without disrupting filming and costing us hundreds of thousands of Euros?" Kinski replied, "That's a personal problem! Either you fire him now, or I'm taking the speed boat out of here!" "If you leave in our boat," Herzog said with a steely voice trying to bind his anger, "I will shoot you." But that didn't stop Kinski, who packed his things, went down the boat, started it, and started cruising down the river. And Herzog was indeed taking aim at the back of Kinski's head with his rifle, but then Kinski thought better, slowed, and turned around.... After a few days, all was forgotten. They had to forget: they were deep in the jungle, days from anything and everything, and there was a movie to make. 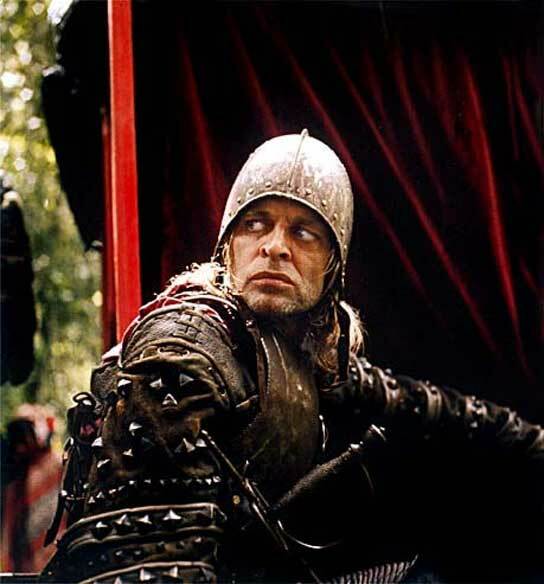 Kinski's fits were common, and he had a reputation as being impossible to work with. Herzog had to find ways to placate Kinski and his fits of temper on a daily basis. Yet Herzog channeled that energy through Kinski's acting so that it yielded some of the most brilliant obsessive characters in all of cinema. Herzog told many of the secrets of his love-hate relationship with Kinski in his documentary, My Best Fiend. At some points in the documentary, Herzog confesses an introverted and cerebral creative madness that complemented Kinski's extroverted and physical energy. It was such madness in Herzog that led him not only to dream of pulling a riverboat over a mountain and down to another river on the other side, but also to inspiring his cast and crew—including several native Indians of South America—into making that dream a reality in Fitzcarraldo, Herzog's best known film. The Indians with whom they worked in Fitzcarraldo believed that quiet displayed greater courage and strength than noisiness did. They feared not Kinski for all his fits, but Herzog for his steely silence. Indeed, the Indians offered to kill Kinski for Herzog, who, somewhat tempted, respectfully declined. In talking about the filming of Fitzcarraldo, Herzog mentions how one of the lumberjacks was bit by a snake. The nearest anti-venom was far away, and the snake's venom was the sort that brought on coronary arrest within five minutes of the bite. Herzog says that the snake bit the lumberjack's foot twice in quick succession. The lumberjack thought for a moment, then cut off his own foot. On another occasion, back home in Europe, Herzog crept up on Kinski's house, ready to burn it down, but Kinski's dog woke him, driving Herzog to flee. Herzog's film crews would often threaten to mutiny when they learned that Kinski would be on board. The original casting of Fitzcarraldo called for Jason Robards in the eponymous lead with Mick Jagger cast as his assistant. But Robards became seriously ill during the filming, so they sent him to the US, and the doctors would not let him come back to South America. Eventually Jagger's commitments as a Rolling Stone caused him to withdraw as well, so Herzog had to film from the beginning with Kinski. One of my favorite scenes with Kinski is on the train in Doctor Zhivago. David Lean, who directed Zhivago, always prominently featured two important things in his films: a train, and Alec Guinness. In this case, Guinness plays Yevgraf Zhivago, Yuri's half-brother, and the train provides Yuri and his family an escape from Moscow as they retreat to Varykino in the Urals. The collection of my poems, Counting Stars at Forty Below, will be substantially discounted between 13 and 20 May. The discount will be best on the 13th. Each day afterwards the price takes a small step back toward the original price, which it will reach on the 20th or 21st. If you like the poems I've been publishing on my Monday blogs, now is your chance to seize the book for a good price.